Matt Mullins has 30+years experience as a professional mining consultant with a strong geological background, and a proven track record in resource optimization, in project development and in business improvement. Matt designed and implemented the Productivity and Business Improvement programme at BHP, which to date has yielded an additional US$14bn of annual free cash flow. This project covered surface and underground operations, smelters, refineries, and all commodities and geographies. As Global Vice President for Mineral Resource Development for BHP, Matt led the Brownfields Exploration, Resource Reporting, Mining Engineering, Business Planning, Geometallurgical and Project Governance portfolios. He organised the Resource Growth Reviews for each commodity group in BHP, which looked at future growth through Greenfields, Brownfields and Acquisition. Matt helped to develop and implement the BHP Billiton Capital Investment System, including project and review standards, procedures, guidelines and toolkits, and personally led ~25 major capital project reviews across multiple commodities and geographies. 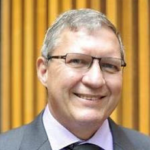 Matt was a member of the Chief Operating Officers Council for BHP Southern Africa, where he helped to direct the regional strategic direction of the Company. 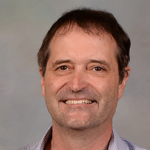 Matt is Chairperson of the SAMCODES Standards Committee, is a GSSA Past President and Fellow, a SAIMM Fellow, an AusIMM Fellow, and is a Registered Professional Natural Scientist with the South African Council for Natural Scientific Professions (SACNASP). He holds a BSc (Hons) Geology from Rhodes University. Colin Carey has 34 years geological and resource evaluation experience in a variety of exploration, project and mining environments, covering a range of commodities and mineralisation styles. His expertise lies in: New Geoscience Technologies; Exploration – Planning and Management; Geological Modelling and Resource Evaluation; Competent Person – Resource Reporting Practices; Geosciences Audits, Due Diligences and Peer Reviews. Colin holds a BSc (Sp. Hons.) from the University of Zimbabwe and is a Previous Member of the AusIMM, SAIMM, and GASA. 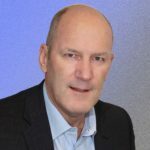 Allon Brent has over 30 years experience in the international minerals and metallurgical industries, having held senior management roles in Marketing, Technology/R&D, Business Development and Operations. The combination of technical and commercial experience gained on both sides of the fence as an iron ore consumer in a steel mill and later as an iron ore producer, provides Allon with the unique ability to assess detailed marketing and resource quality implications for iron ore mining projects. He has a deep understanding of both the performance of iron ores in steelmaking processes and the way in which this performance can translate into realised prices for different ore qualities. As Iron Ore Marketing Manager for BHP, Allon was a member of BHP’s Iron Ore Executive Leadership team, involved in developing and implementing the marketing strategies for BHP’s US$25 billion Iron Ore growth projects between 2003 and 2015. This included ore product quality selection to optimise project value, developing strategies to maximise price realisation and negotiation of key commercial terms with Asian customers in China, Japan and Korea. Allon has built an extensive network within both the Australian iron ore mining industry and the Asian steel mill customer base, which can be drawn on in providing consulting services for clients. Allon also has prior industrial experience in the mineral sands, ferro-alloy and petroleum industries. His broader analytical and business skills have also enabled him to make positive contributions to projects in industries outside those in which he has had direct operational and commercial experience. Allon has PhD and MS degrees in Mineral Engineering from the University of Minnesota in Minneapolis, USA, and a Bachelor of Chemical Engineering (First Class Hons) from the University of Cape Town in South Africa. Prior to joining BHP, Allon worked in the petroleum industry for Caltex Oil, and in the minerals industry for MINTEK in South Africa, and the Minerals Resources Research Centre in Minneapolis, Minnesota USA. He is the author/co-author of 25 international journal and conference papers, the co-inventor of 3 international patents and is a member of the Australasian Institute of Mining and Metallurgy. 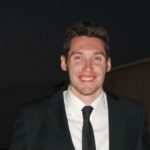 Griff Gigler is currently completing his PhD Geology at the University of Witwatersrand. His dissertation is titled ‘The transition from hypogene to supergene mineralisation at the Mashitu South Cu-Co deposit, Katanga, Democratic Republic of the Congo (DRC)’. He graduated with a MESci Exploration and Resource Geology (1st Class Hons.) degree from Cardiff University in 2013. Griff is a Fellow of the Geological Society of London (FGS), Member of the GSSA and ex-Secretary of the SEG Student Chapter Cardiff. 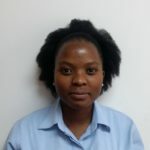 Ms Mbali Mpanza has 8 years experience as a geologist, she graduated from the University of the Witwatersrand with a BSc Honours in Geology in 2008, soon after that she started working for Samancor Chrome Western Chrome Mines in the North West Province as a Geologist in Training. She trained as a Geologist for two years and was promoted to Section Geologist in the year 2010. At the end of the year 2011 she was appointed as Associate lecturer at the University of the Witwatersrand in the School of Mining Engineering, where she practised for a period of 4 years while also doing her Master’s Degree in Geostatistics. 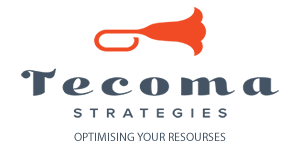 In 2016, she started doing freelance resource geology consulting work for various junior mining companies. In 2017 she enrolled for her PhD investigating the impacts of tailings storage facilities on surrounding communities as well as testing self-sustaining grasses for tailings rehabilitation. Ms Mpanza is a registered Professional Natural Scientist with SACNASP and is a member of GASA. 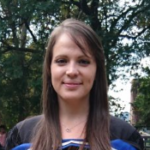 Kirsten Youlton is currently completing her MSc Geology at the University of the Witwatersrand. She is a former president of the South African Student-Chapter of the Society of Economic Geologists (SAS-SEG). 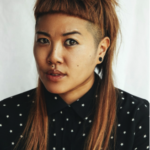 Sophia Lee has experience in the supply chain and events management industries. She eventually started her own utilities consultancy company in 2014 – Electrawise Consulting – at the age of 29. She studied BA English Studies at the University of Pretoria.